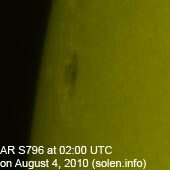 Last major update issued on August 5, 2010 at 04:15 UTC. 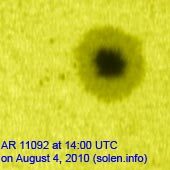 The geomagnetic field was unsettled to major storm on August 4. 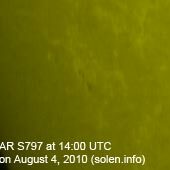 Solar wind speed ranged between 445 and 607 km/s under the influence of a CME observed on August 1. 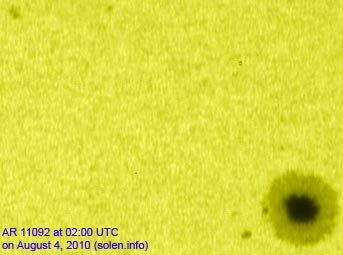 Solar flux measured at 20h UTC on 2.8 GHz was 80.8. The planetary A index was 42 (STAR Ap - based on the mean of three hour interval ap indices: 41.8). Three hour interval K indices: 65354464 (planetary), 64353344 (Boulder). 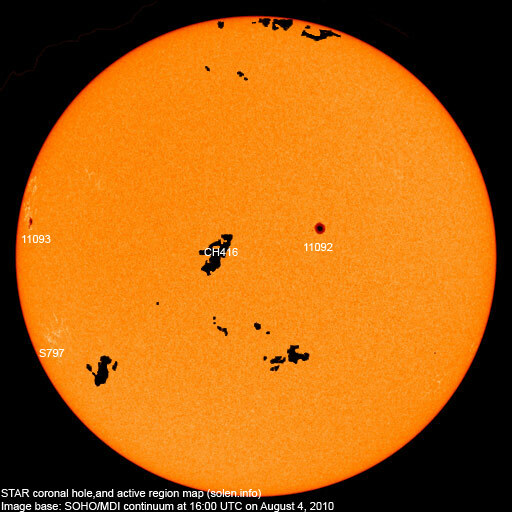 Region 11092 lost a few small spots and could still produce occasional C class flares. 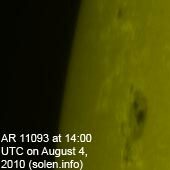 New region 11093 rotated into view at the northeast limb on August 3 and was numbered the next day by NOAA/SWPC. C flares are possible. August 2-4: No obviously Earth directed CMEs were seen in LASCO or STEREO images. 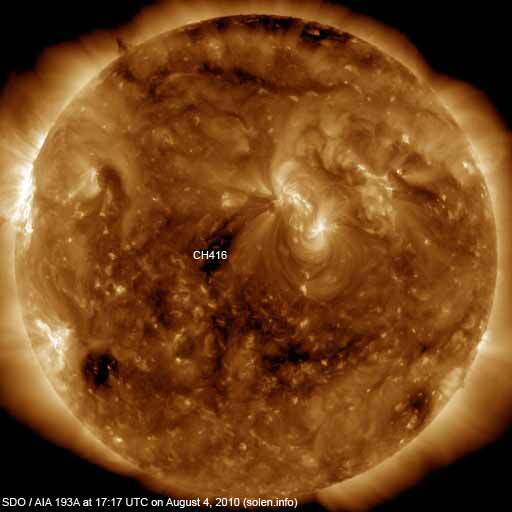 A recurrent trans equatorial coronal hole (CH416) will be Earth facing on August 5. The geomagnetic field is expected to be quiet to minor storm on August 5 and quiet to unsettled on August 6-8.